Thursday I spent the day at the Metropolitan Museum in New York City. Although I wore my “Museums are not neutral” T-shirt, I’m not sure anyone noticed. 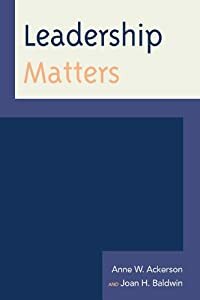 The topic of museum neutrality, however, is one that interests us here at Leadership Matters because it intersects directly with how museum directors lead, and the role museums and history organizations play in their communities. Museum neutrality has been in the wind for a while now. For some it means, museums should openly take a stand on issues of community or national interest. For others, it means museums should use their scholarship to refute false narratives in an age of post-truthiness. A notable example of a museum taking a stand took place last winter when the Trump administration banned travel and rescinded visas from seven majority-Muslim nations. The Museum of Modern Art (MoMA), usually a-political, responded by removing work by Picasso and Matisse and hanging paintings by living artists from the banned countries. And just in case MoMA’s selfie-taking audience missed what was going on, it labeled each newly-displayed painting with the following lines, making it crystal clear where it stood on the travel/immigration debate. Given MoMA’s size, wealth, and presence in the art world, it’s likely that Glenn Lowry and his senior staff took more than a few minutes to decide how to respond to the travel ban. And given what we heard from Shankar Vedantam, National Public Radio’s Social Science correspondent this week, that’s a good idea. Vedantam reported on the risks CEO’s take when they invest in social responsibility. And based on the researchers he interviewed, doing good with corporate profits can be bad. Here’s why: In the corporate world everything points towards making money. No surprise there. And community aid, activism, diversity initiatives, and support for education don’t get the product out the door. Nonetheless, they do generate a lot of good will, and that should be good for the corporation, yes? Not necessarily. 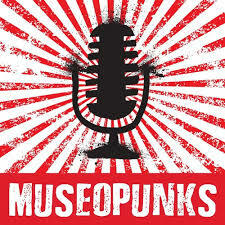 She suggests that scientists (and we would argue curators, conservators, museum educators, and directors) need to be part of the public dialog. She asks her fellow researchers when was the last time they attended a PTA meeting, Cub Scouts, your church, synagogue or mosque, adding “If we’re not part of that dialog, soon science won’t matter.” (And maybe history or culture?) She points out that in an age when the public relies more on emotion and personal belief than scientific evidence, then there’s a problem. We’ve just returned from Austin, Texas and AASLH’s annual meeting that brings history museum folks together every year in a new spot. The skies were blue, and the location in the center of the University of Texas campus beautiful. What’s not to like about sitting with coffee and colleagues in a beautifully-planted courtyard between sessions? But one of the best moments was hearing Darren Walker, President of the Ford Foundation. He urged the audience to speak up and speak out. “Progress won’t be made unless we get uncomfortable. Our boards can be very comfortable with privilege and prestige.” He believes what we need from boards today is people comfortable with justice, equity, fairness, and opposition. When Bailey asked him if museums should be neutral, Walker responded with a story, remembering when a Ford Foundation board member asked him why the Foundation supported artists making political art. Walker’s response was that art has always been political to some degree or another, and it’s naive and dishonest to believe otherwise. “Privileged people and institutions don’t like change,” he quipped, adding that privilege becomes a collective around the board table. Walker talked about the fact that it’s possible to succeed without humility or curiosity because success insulates people from the hard reality of truth telling. He cautioned the audience that sometimes it’s necessary to engage with board members in a way that helps them realize they are speaking from privilege. “Trustees want to do right,” Walker said, “but we all bring our own bias and limitations.” He urged the audience to meet people where they are, and for museum leaders to remind their boards that they are there not just to preserve but to innovate. One sobering note before we close. As part of the AASLH Conference we presented a panel discussion with four interviewees from our book, Women in the Museum, and just as we did at AAM, we asked the audience for a show of hands indicating who had experienced sexual harassment in the workplace. Almost the entire audience raised their hands. Nationally, one in three women experience workplace sexual harassment, and over 71-percent don’t report it. 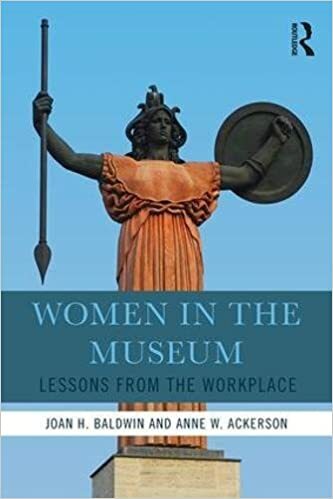 Isn’t it time the museum field took Darren Walker’s advice and stepped up, spoke out, and showed some courage in protecting and supporting its female employees?